When we first arrived in Ethiopia in 2011 we could never have imagined we’d be drinking premium quality wines made in Ethiopia. Little did we know that in 2007 the Castel family, in private consultations with the late Prime Minister Meles Zenawi, had agreed to a 520 million birr (about $55 million USD) investment to create the country’s first premier vineyard in the beautiful lake town of Ziway, located just 160 km south of Addis Ababa. And boy, are we happy that happened! To celebrate the release of the 2014 vintage, AddisEats is excited to announce that we now offer wine tastings as an add-on to our food tours. You can read more about them here. Before the Rift Valley Wines were introduced, the wine options in Ethiopia were slim. South African, Italian and French wines were imported but taxed heavily. So a cheap bottle still cost upwards of $20 USD. There are other wines produced in Ethiopia, but it’s a stretch to even classify them as wine. It meant that for the first two years here, we really stuck to beer and spirits. Lemmy (our Ethiopian mom and co-owner of AddisEats) fondly reminisces about the wines produced here in the late 60s and early 70s, one of the by-products of of the Italian occupation. However, unfortunately the majority of these vines were destroyed in the 70s and 80s during the communist regime. It makes sense to grow wine in Ethiopia. The climate is well suited – nine months of sun and three months of rain. The soils are fertile. And labor is relatively inexpensive. 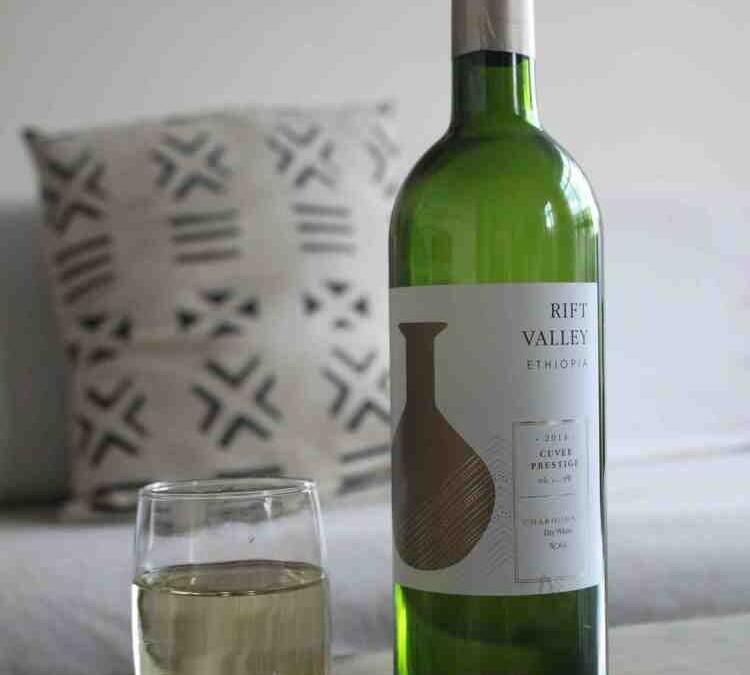 Through wine production, the country is hoping to promote its image internationally (the Rift Valley Wines proudly carry a “Made in Ethiopia label”) while also increasing its exports. Currently half of the Rift Valley wines are for export. It’s encouraging to see that the vineyard is following organic growing practices and is working for the sustainable development of Ziway, the town where the vineyard is located. 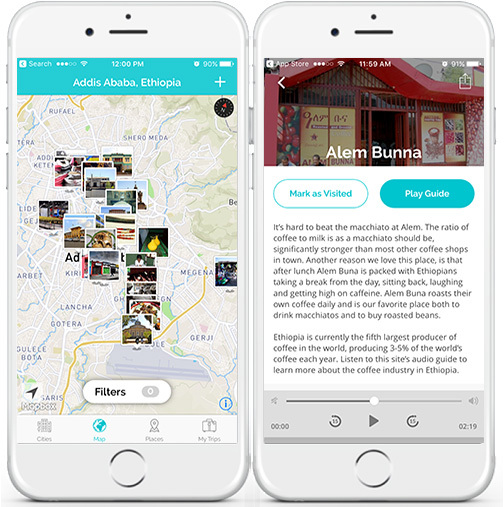 The hope is that 25-35 years from now, and maybe even sooner with the current rate of development throughout the country, Ethiopia will become known for its wine production – making and exporting prestigious new world wines, much like South Africa or Chile. With the early success of the Castel Winery, we can only hope that other investors will follow suit. But enough about this, let’s introduce the wines! Just a few weeks back we attended a tasting for the second vintage bottled under the Rift Valley label. We were beyond impressed (and definitely tipsy). 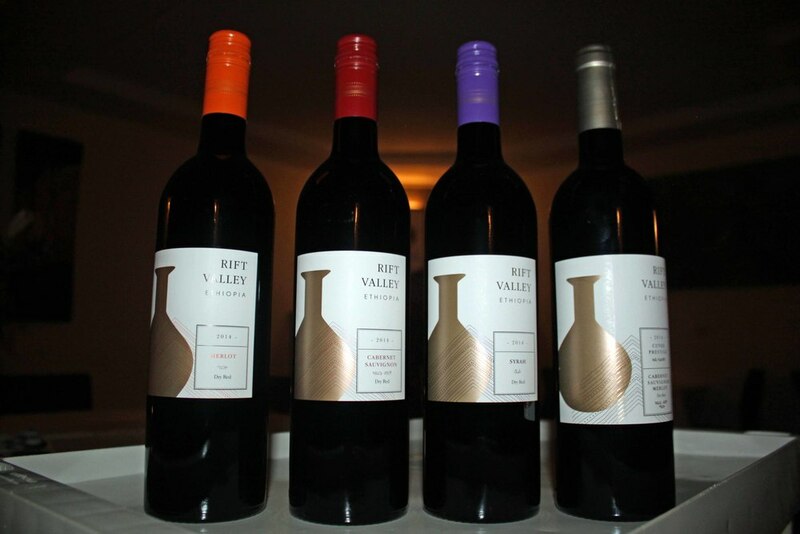 The Rift Valley bottles in production currently include Merlot, Cabernet Sauvignon, Syrah, Chardonnay, Cuvée Prestige Cabernet Sauvignon-Merlot blend and the Cuvée Prestige Chardonnay. Our absolute favorite wine is the 2014 Cuvée Prestige Chardonnay, but if a bottle of the 2014 Merlot, Cabernet Sauvignon or the 2014 Cuvée Prestige Cab Sauv-Merlot blend were opened, it’d be hard to resist drinking the whole thing. The best place to buy these wines is at Le Domaine as they have great prices and a full selection of the varietals; however, they can also be found at most ferenji grocery stores in town. Do you know how i can get the Ethiopian coffee clay pots to Holland..? Thanks for the encouraging words and for watching us from abroad. The only way we can think of how to get jebenas (clay pots) to the Netherlands is by finding someone flying from Addis to Amsterdam. Not really possible (or at least really difficult) to ship given how fragile they are. And thanks for following us! Forgive my lack of knowledge about wine production but i am surprised that Ethiopia had such a rich wine making obviously comes from colonial sources. I have brought the small allowance of 5 bottles of Chardonnay home from Ethiopia twice now to the UK. My friends love it and I wondered whether we could set something up to import some more to the UK.